Blizzard’s hasn’t changed its original Starcraft formula: you still harvest Vespene gas and mine for minerals with Drones, SCVs or Probes. 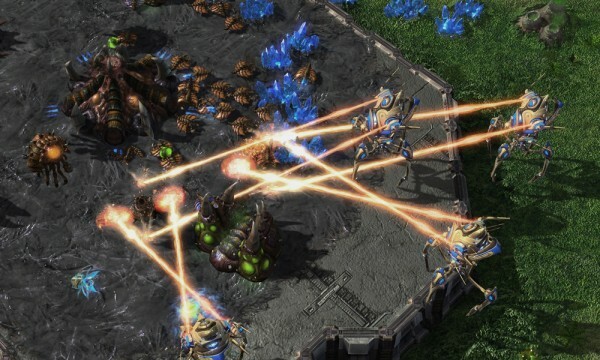 For those familiar with the game, Terran, Protoss, and Zerg races are still duking it out. If you’re like me and didn’t know much about the Starcraft universe, it’s worth checking out the tutorials that Blizzard includes. Everything from information on how to play the game to data on units and tech-trees is available. Blizzard’s Battle.Net service matches you up to someone of comparable skills, similar to Xbox Live. To get started, players need to take a series of five placement matches against various foes. These matches determine your league: Bronze, Silver, Gold, Platinum and Diamond. (“Pro” league to come sometime in the future). Players can rise in ranks and progress to higher leagues over time. For example, if you start in bronze, you can eventually work your way to the diamond league. While the game follows the same system for one, two, three, and four players games (1v1, 2v2, 3v3, and 4v4) those who wish to play with a different group must take more placement matches.Thankfully, Battle.Net saves your teams, so players can have multiple 2v2, 3v3, and 4v4 groups, even if they are in different leagues. This is extremely useful since players are no longer limited to playing with the same set of friends. Game statistics, which are saved on Battle.Net, offer insights into build orders, economic breakdown, units created, units killed, building created, etc. For those interested, the stats are also available in graph form. Perhaps the best feature of Battle.Net is the ability to save and replay games. During replays, users can pause, fast forward, rewind, and slow down playback. Replays also provide various statistics such as actions per minute (APM) and viewing play styles of opponents and friends. As a newbie, this is perhaps one of most useful tools. 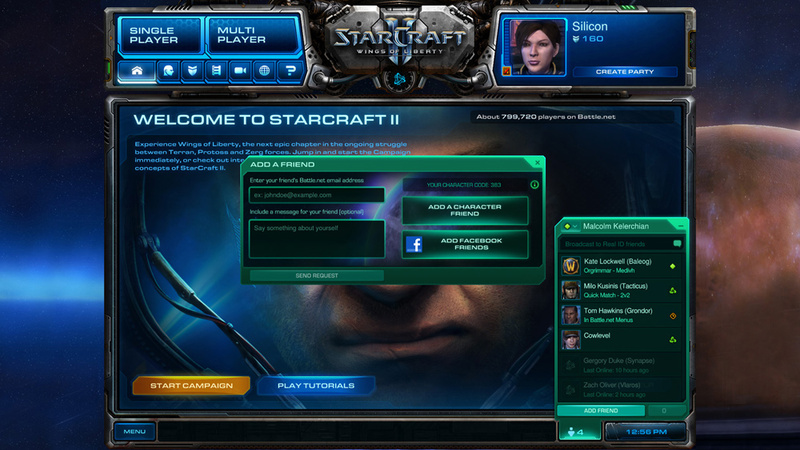 Unfortunately, Starcraft player cannot play a game on a local area network (LAN). Instead playing with friend requires the Battle.Net service. However, Blizzard allows playing single player missions and against AI when without Internet.Unlike most MMOs there is no monthly fee associated with the Battle.Net service. Regardless of skill level or expertise, the game is enjoyable for just about anyone. If you don’t quite feel up to the challenge of playing others, the campaign and AI modes are great ways to get started. Starcraft II, like its predecessor, will be around for a long time to come. Blizzard will assuredly patch and improve the overall experience of both the game and the Battle.Net service over time.